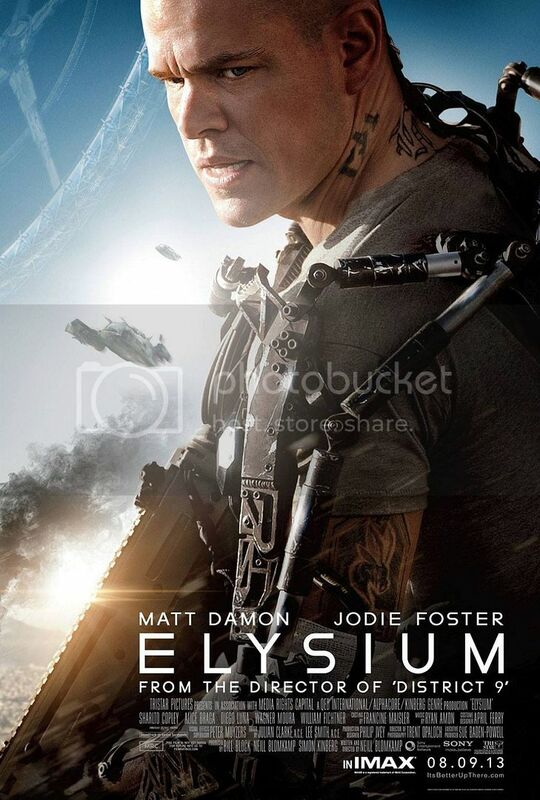 Elysium is a story about two halves of human society—the rich and the poor—that have become even more disconnected than they are today. The poor live on a broken and ravaged Earth, surviving on what they can find. The rich live in a space station called Elysium that floats in Earth orbit. (There are a lot more poor people than rich ones.) When the rich are sick, they can get into med bays and be immediately cured. When the poor get sick, they must head to a hospital that has a limited supply of resources and extremely overworked physicians. When Max (Matt Damon) gets into an accident at work, his only chance of survival is to get to a med bay on Elysium, but getting there is an extremely difficult proposition. On the whole, I thought the story was smart and interesting, and I really enjoyed it. I got a lot of feels at the end of the movie, though, so do be prepared for that if you go. It was a little heavy handed? But I enjoyed it, regardless. I hope you do, too!